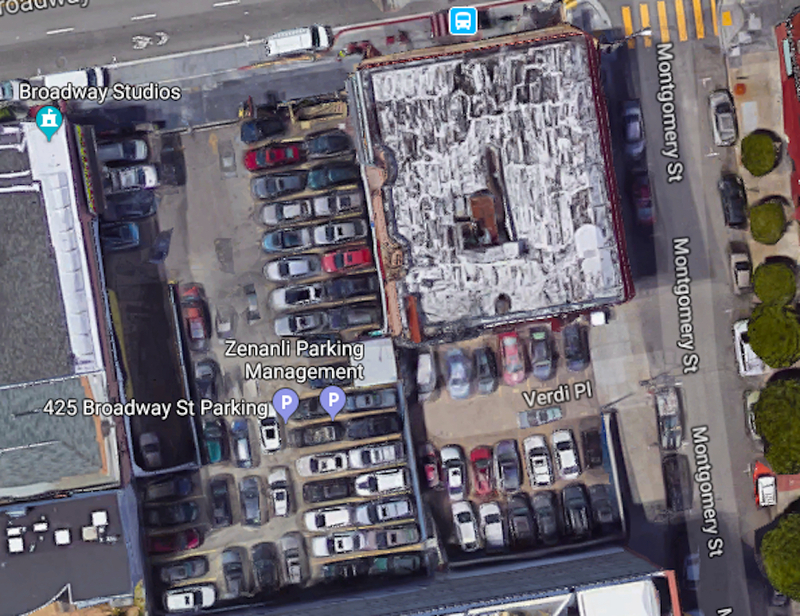 SF Planning has some concerns about the aesthetics of a proposal to replace a parking lot parcel at 425 Broadway with a six-story mixed-use building. 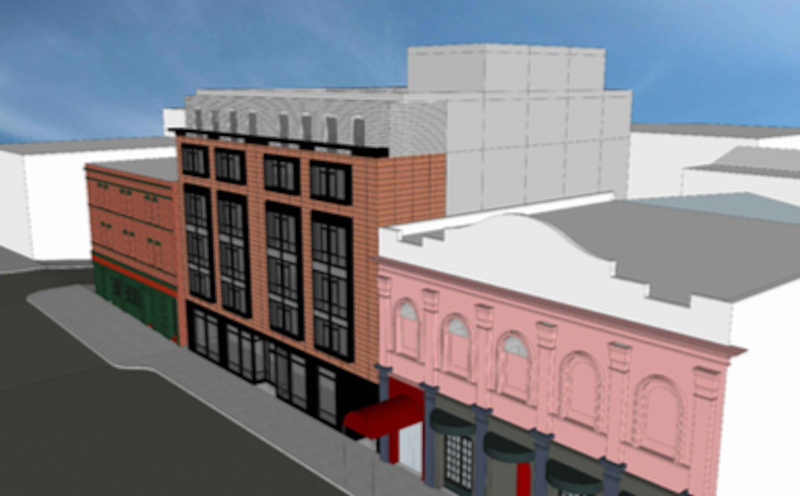 In its Preliminary Project Assessment letter issued this week, SF Planning suggested that the design be amended to set back the upper floors along Broadway by 20 feet. Any lost density could be made up by increasing the massing on the top floors facing Montgomery Street to "more appropriately reinforce the stepping of building massing ascending Montgomery." SF Planning suggests a 20' setback on Broadway could better align the development with the height of neighboring buildings. SF Planning also recommended that the architect select "high-quality materials" for all visible walls of the development to jibe with the details and context of the surrounding architecture. The plans drafted by Ian Birchall and Associates suggest that the project sponsor hopes to utilize the state density bonus to exceed the number of residential units currently zoned for the site by including on-site affordable housing. The state density bonus proposal includes 48 residential units over 2,570 square feet of ground floor retail space, 53 bike parking spaces, a 3,700-square-foot rear yard, and an "accessory" parking garage with 92 spaces, 23 of which would be for building residents. Seven of the proposed units would be permanently affordable. To qualify for the increased density, the architect had to propose a base project, which SF Planning evaluated for code compliance. That proposal includes 35 residential units, nine of which would have two bedrooms, and four of which would have three bedrooms. The base project is for the larger site that presumes the lot's portion of Verdi Place is not restricted to private development. The land parcel, which wraps around the building at 401 Montgomery, is 13,638 square feet, and could expand to 14,226 square feet if the half of Verdi Place currently deeded to 425 Broadway is incorporated. 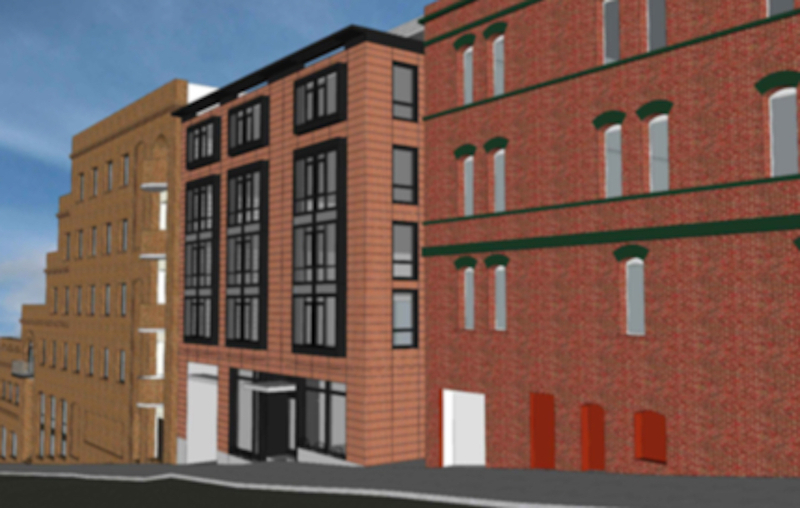 SF Planning cautions that if the Verdi Place easement is restricted for development, the project's size may have to be reduced because it could limit its Montgomery Street facade. Verdi Place via Google Maps. 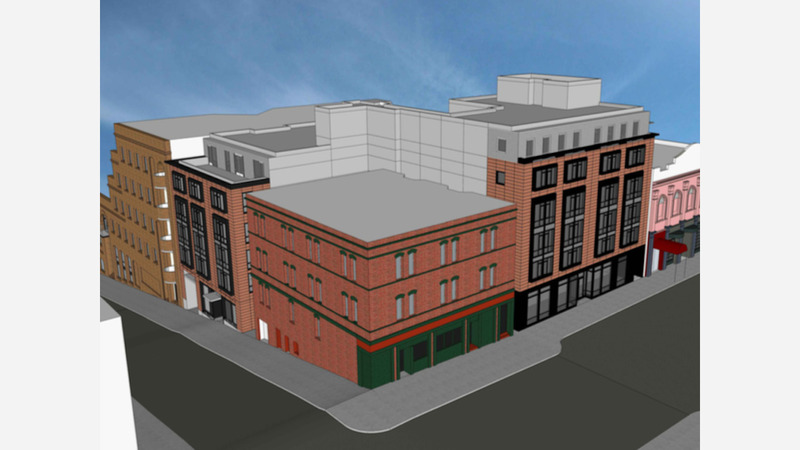 The project is undergoing environmental review and will also have to seek approval from SF Planning's historic preservation staff because it falls in the Jackson Square Historic District, which is roughly bounded by Broadway, Sansome, and Washington streets and Columbus Avenue. The preliminary approval granted on March 5th is valid through September 5th, 2019. The building at 401 Montgomery, which includes a residential hotel and used to house the Crowbar on the ground floor, could also undergo some changes in the near future. 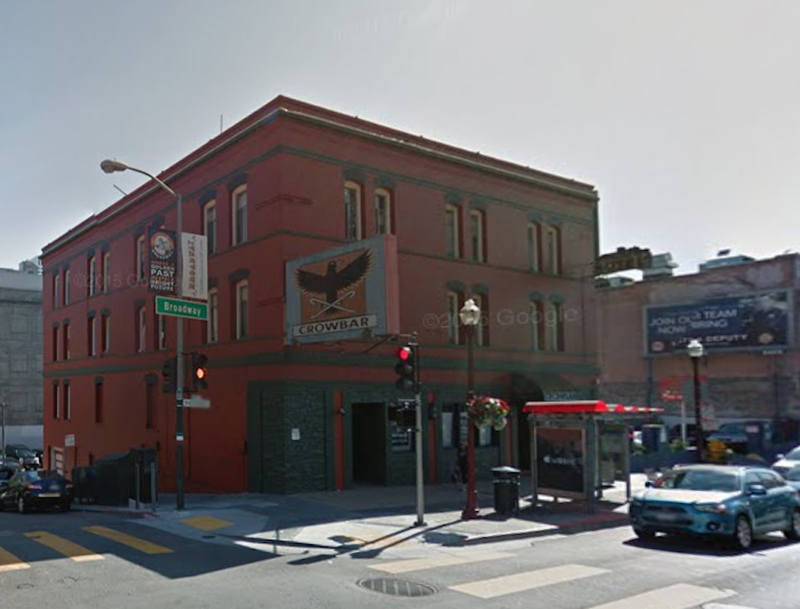 The Crowbar at Broadway and Montgomery closed in 2007. A change of use application has been filed to convert the ground floor, which has been vacant since 2007, into a boutique tourist hotel. According to the application filed by Tom Zhang on behalf of property owner Joy Fu, no changes would be made to the building or to the residential use on the upper floors.